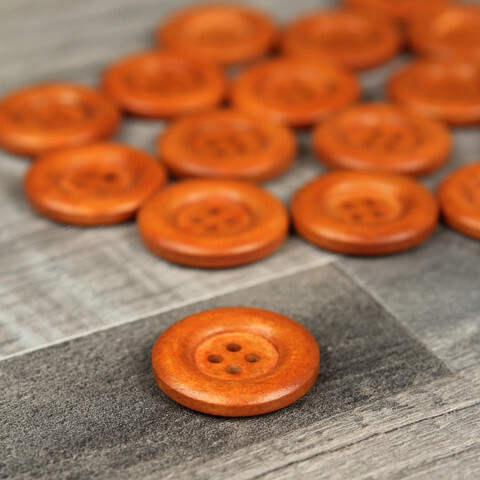 Round wooden buttons, with smooth backside and decoration on the front (both sides can be used). Perfect for medium-weight and heavy-weight garments. Diameter approx. 3 cm (1.2"). 4 holes.